Privacy by design, from the beginning. At Onehub, we have always maintained a few fundamental promises about privacy and the information we collect. These Privacy by Design tenets allowed us to by ready for GDPR on day one. We will never ask you for any personal information unless we truly need it. We take your privacy seriously and are not interested in jeopardizing your trust. Any personal information we do have will never be shared with anyone except to comply with the law. You retain copyright and all other rights you already hold for any content you use with Onehub. Always. Your data is your business. We’re just here to help you store and share it. Onehub complies with the EU-U.S. Privacy Shield Framework and Swiss-U.S. Privacy Shield Framework as set forth by the U.S. Department of Commerce regarding the collection, use, and retention of personal information transferred from the European Union and Switzerland to the United States. In addition, Onehub has certified to the Department of Commerce that it adheres to the Privacy Shield Principles. We are confident our practices meet the GDPR data processing obligations. 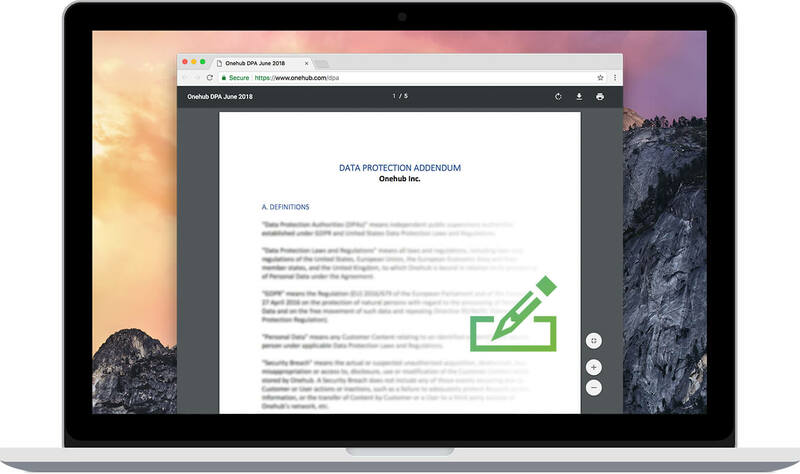 Our Data Processing Addendum (DPA) is pre-signed by Onehub, making it incredibly easy for you to self-execute via electronic signature. Once executed, simply send it back to us to make everything legally binding. Share your formalized DPA with stakeholders, employees, customers, and potential auditors to demonstrate that you're using Onehub with GDPR in mind. The GDPR codifies data protection via a series of rules for businesses and rights for citizens. The following rights are enshrined in the GDPR and Onehub has all of them covered for you. You have the right to access all the data we have about you, for free, and in a digital format. You can use our profile and activity features to see all the data we have about you at any time. In addition and by request, Onehub can provide this information in CSV format. You have the right to transfer your data from one place to another. By request, Onehub can provide full account exports in CSV format so you can take your data wherever you like. You have the right to request all the data we have about you be deleted. By request, Onehub can fully delete your account including all content, personal data, and identifiable links. Our Activity feature allows you to see every individual action that we track, including your own. Export all activity events to analyze in Excel or other tools. Easily control who has access to your content with our advanced role-based permission system. Roles are set when users are invited and can be changed at any time. 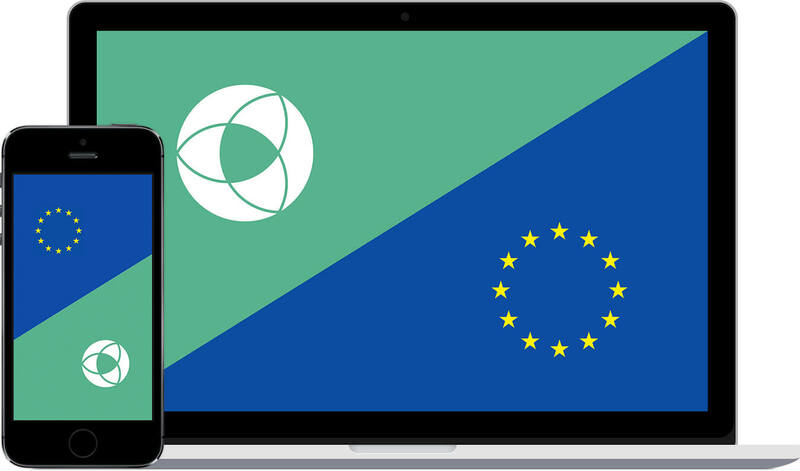 If you're interested in learning even more about the GDPR, we'd recommend the following resources. If you have any questions about our commitment to GDPR, we'd be happy to chat with you. Email us at privacy@onehub.com or click the button below to request a phone call.